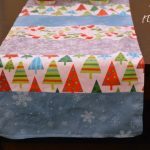 This post is in collaboration with goodnessKNOWS. All opinions are my own. Winter is hard. All I really want to do is curl up in a blanket, watch sappy TV shows, and hibernate until spring. 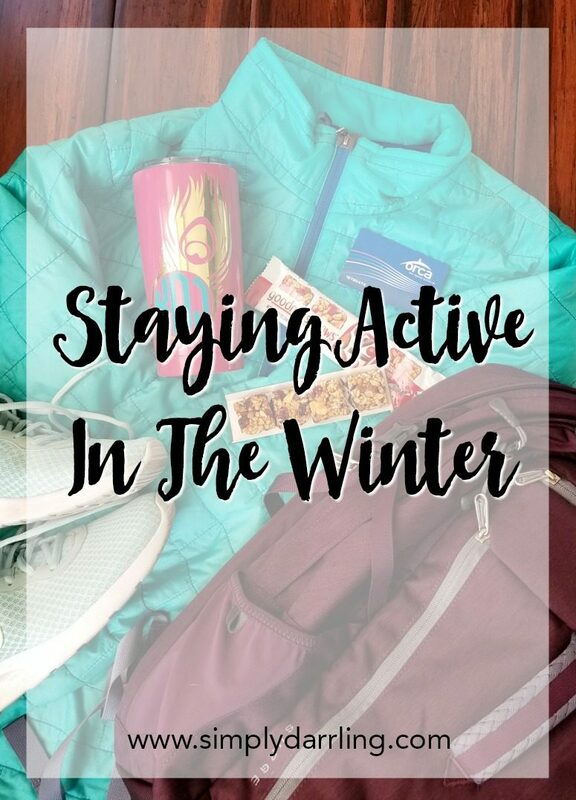 This winter will be different, I am determined to stay active and am sharing a few ways that I’m going to make this happen with you today. One way that this winter is different is my commute. Last week, as I was walking from my car to the train, I realized that my total walking commute for the past 9 years had basically been that distance. Now, once I get off the train, I have just over a 1/2 mile walk, slightly uphill, to my office. I do have to say that I am glad the uphill portion of my walk is in the morning rather than the commute home. Since my commute has changed, so have my daily essentials. Instead of having a laptop bag and purse every day, everything needs to easily fit in my backpack (and a few items I need to be able to access quickly). I used to be able to drink my entire coffee while driving to work (since it was 45 minutes); while I can drink some of it while driving to, and riding on, the train, I really get to it when I arrive at my desk, and want it to still be warm. Therefore, a good insulated travel mug is a new essential for my everyday commute. Having the right clothing for being outside during winter in Seattle is also important so that I actually walk instead of hopping on the bus for 2 stops. A nice lightly downed jacket is a great solution because it keeps me warm, without being too warm on the mild days. Comfortable shoes are also a must. Even if I change once I get to the office, they are necessary for the walk. An afternoon snack as a pick-me-up is also one way that I’m making sure to keep my energy up before walking back down to the train in the evenings. One of these delicious snacks are goodnessKNOWS snack squares. All of the flavors are crafted with whole nuts, real fruit, toasted oats, and a bit of dark chocolate. 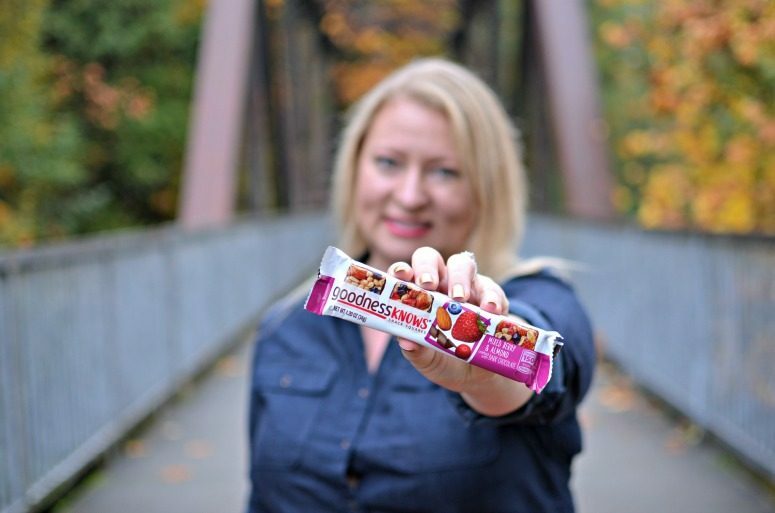 This fall, goodnessKNOWS is heading out around Seattle to encourage us Seattleites to Try a Little Goodness. 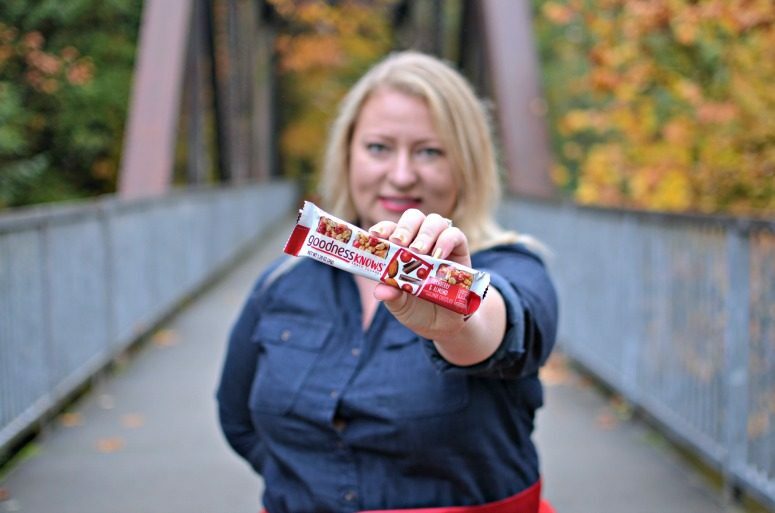 The following events are coming up, so go try out these awesome snack squares at: Northwest Chocolate Festival (November 11-12, 9am-5pm), or the Seattle Marathon (November 26). Now through November 26th, you can grab a pack off Amazon and use code 25DARRLING to save 25% off of a box of goodnessKNOWS snack squares. If you want to pick some up from your local store, check out the goodnessKnows product finder. Each package includes 4 snack squares, and is only 150 calories. This makes them the perfect afternoon snack for a little boost to finish the day strong. 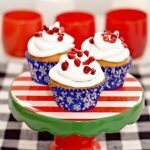 Each package is bright, colorful, and easily shows off the ingredients of the package. 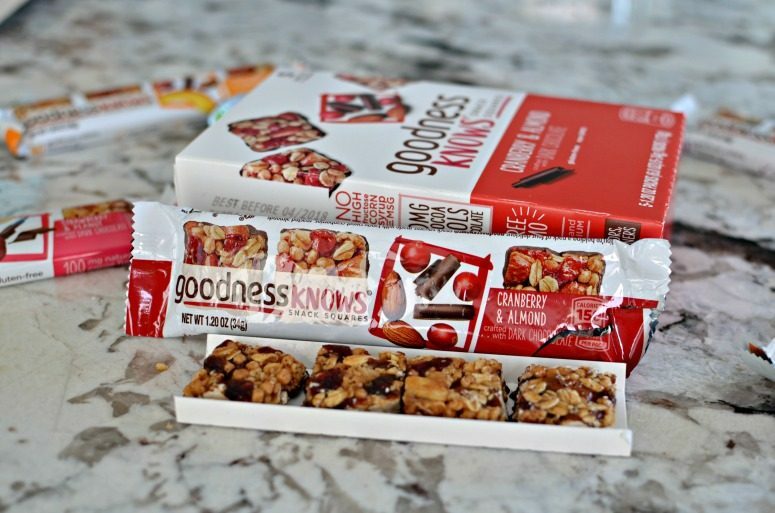 You can also learn more about goodnessKNOWS by following along on their Facebook, Twitter, and Instagram. 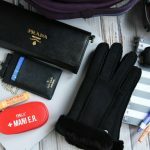 As I gear up for winter, I know that I can stay active by being prepared and setting myself up for success. 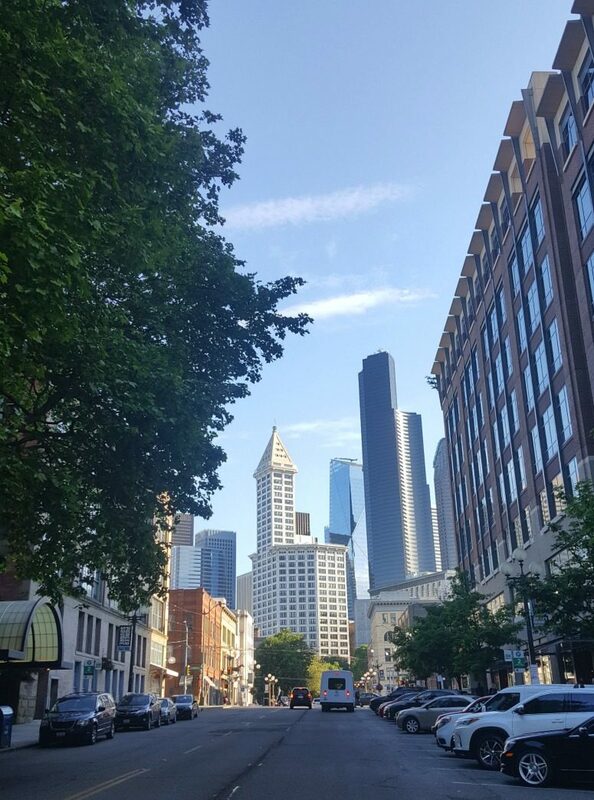 Plus, some days during the winter we get these gorgeous clear skies and I have an amazing view while I take this walk to work. 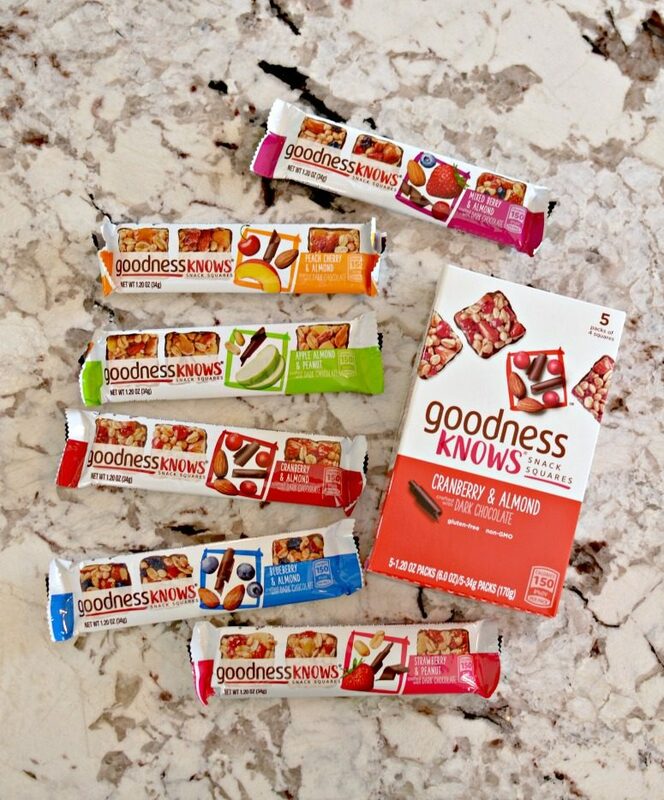 Which flavor of goodnessKNOWS snack squares are you most excited to try? Those bars look so good. Do they have a version without nuts? 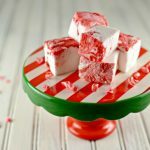 These sound like pretty awesome snack bars! I love the flavors! Yumm! I may need to try them. I am always looking for a great on the go snack.